NEW YORK (AP) — A typographical error in a tweet written by one of President Donald Trump's lawyers has linked to an anti-Trump prank. 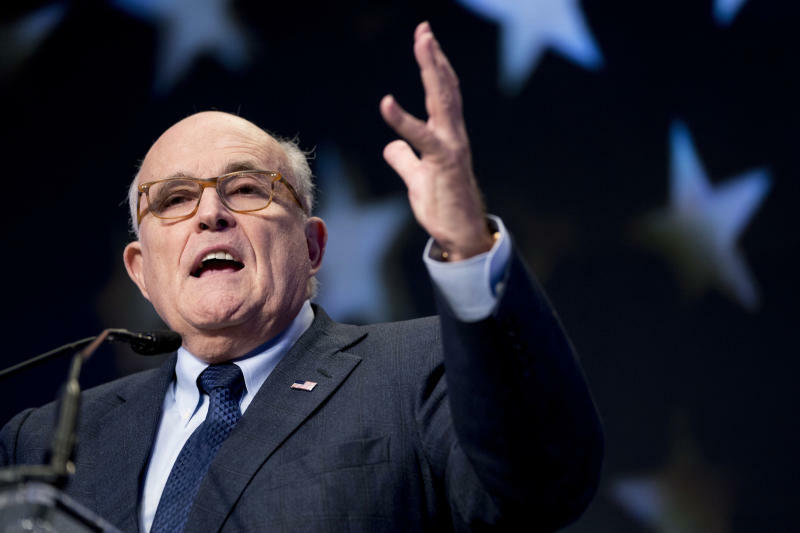 Rudy Giuliani wrote Tuesday that the social network had "allowed someone to invade my text with a disgusting anti-President message." But Giuliani had inadvertently created a hyperlink when he failed to put a space after a period in a Nov. 30 tweet. Web firm designer Jason Velazquez tells The New York Times he saw the link, paid $5 to buy the domain and created a page in about 15 minutes. Those who clicked on the link saw: "Donald J. Trump is a traitor to our country." A Twitter spokesman says the company can't edit users' tweets and "the accusation that we're artificially injecting something into a tweet is completely false."